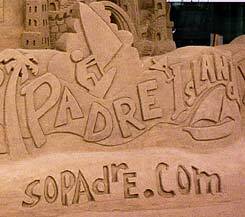 South Padre Island, Texas is a great place for conventions and meetings. Take advantage of "local talent" and give your attendees something to shoot! We can also display your logo in a more secure area inside the centre. We can complete the project before your guests arrive, or work on it during your function - we have found people really enjoy "seeing how it is done." 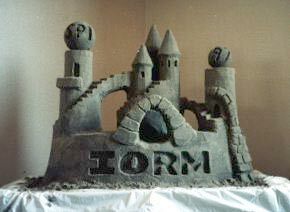 We can do a somewhat larger castle - still including your company name, logo or message - on the beach closest to your group's accommodations for as low as $300. 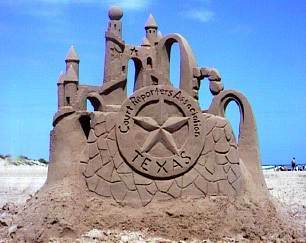 Sand box castles can be built pretty much anywhere - indoors or out. Prices start at $300.